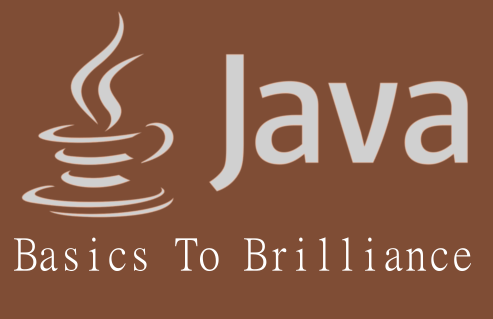 This post is a progression to previous post Java Programming Basics to Brilliance Part 2. Before we make things complicated lets first get to know what is an array and how we can use it. 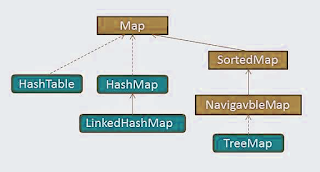 In Java, an array is an object which holds a specified number of similar number, strings or objects. This depends on the type of array you are making. The size of an array is set when it is initialized. This is one way of making an array with values in it. Now the above line of code initialized a blank array of String type of length 5. Note that this array is of type String, so you cannot feed values other than String into it. Let's feed some values into this array. Now that we have an array of numbers listOfNumbers and an array of string myHeroes now obviously if we want to make use of this array we need a way to access these values. To do that we loop through the array and do whatever we want accordingly. But before we loop through an array take note of how the length of array myHeroes is 5 but we added values up to myHeroes only. This is simply because array index starts from 0 not 1 and that makes the size of array as 5. To further clear up the confusion you can use arrayName.length; to find out the length of the array. The simplest and easy to understand form of loop is a for loop. And once you understand for loop there another version of it called foreach loop which is really handy and saves lots of confusion. This simple loop will print numbers 1 to 9. How? Now the update part of for loop need not necessarily be increment only. You can instead decrease the values, divide, multiply etc. Rest should be pretty much self explanatory. Lets use this loop to print the list of heroes we made. Notice how we ran the loop for values starting with to to just less than the length of array. Explained above. Now a rather simplified version of for which is foreach loop. Think of foreach loop as defining a variable i that will be holding values from the array one by one. Having done all that lets move to a fairly complex yet very useful part of Java called Collection. Collection are a way for storing objects in Java. Collection provide necessary features which help in ordered storage of data and easier manipulation of the same. There are various collection interfaces in Java predefined and you can create you own collection as well. HashTable, HashMap, LinkedHashMap, and TreeMap. Unless you are giving some exam there is no absolute need for remembering all the names. 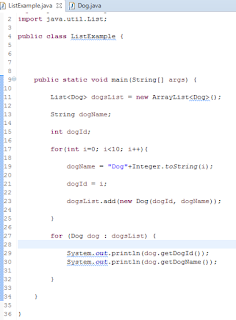 For the sake of this tutorial and get going with Java Programming I will be using just the ArrayList with reference of List collection and might cover others in future. Different type of collection have different properties and usefulness in their domain. Deciding the right collection depending on the requirement is something that affects your application thoroughly. I will leave that you as it requires research depending on the requirement and even I'm not all aware of all of the collections. That's all for now. If you go through these 3 tutorials on Java you are likely to get through anything. I'm not entirely sure what will be next in this but in case I do write it will be updated here.